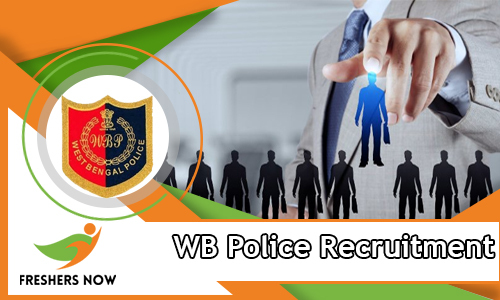 WB Police Recruitment 2018 Notification for 28 Lower Division Clerk Vacancies are announced recently. So, all those people who are looking for the Police Jobs in West Bengal State can check out the complete information. And then they can proceed to apply for it, before the final date. Now, the aspirants, have to notice that, if they do not submit the application form by the final date, such applications will not be considered. So, consider going through all details and submit the application form by 31st December 2018. If you are willing to check more other Government Jobs information, get them through our site Freshers Now. For all the 28 Lower Division Clerk Vacancies, the officials of the West Bengal Police are inviting applications. Therefore, all those Retired government Employees, who are willing to join the Government Organization again. So, if you are also interested, please go on and check all those remaining details. And then go on to apply, by submitting the application form in the asked format. Now, all the contenders have to remember, they need to possess, each and every requirement, at the time of applying. If not all such applications will be rejected with those submitted after the final date. Well, the officials are looking for the Retired Government Employees. Please check WB Police Recruitment 2018 Notification, for more information. Apparently, candidates with age of 64 years can apply for this WB Police Recruitment 2018. Submit the application form by sending it to the following address before the final date. Like all the details we provided about the WB Police Recruitment 2018? Check our site for more such articles. The WB Police Recruitment 2018-2019 Notification is out for 5702 Constable posts. The job searchers who belong to West Bengal State can use this opportunity. The officers of West Bengal Police Recruitment Board has issued West Bengal Police Constable Recruitment 2018 notification on 1st April 2018. Therefore, applicants can apply for the post before the last date 30th April 2018. Aspirants who want to join in Police Department can utilize this chance and apply for the job before the due date. Applying applicants, first of all, know the details about Eligibility Criteria. In this article, we had provided complete details about eligibility details. And also mentioned the information about West Bengal Police Recruitment 2018-2019, West Bengal Police Admit Card, WB Police Written Exam, West Bengal Police Result 2017. Applicants can apply for the WB Police Recruitment 2018-2019 Notification for 5702 Constable Vacancies before 30th April 2018 through Online and Offline Mode. For the convenience of candidates, you have to submit the application form in any one of the modes. In the below section, we had explained complete details about Education Qualification, Age Limit, Age Relaxation, Selection Process, Application Fee, Salary Details, etc. Therefore, aspirants go down to the complete article and gather all the details about West Bengal Police Constable Recruitment 2018 form this page. In the above table, we had given complete information about WB Police Recruitment 2018-2019 Notification in a clear manner. Therefore, participants can check the table and know the details about West Bengal Police Recruitment 2018. At the time of applying for the Constable post, candidates pay the application fee along with processing fee of Rs. 170/- (except SC/ ST candidates). The SC/ ST aspirants only pay the processing fee of Rs. 20/- at the time of submitting the application form. The job hunters can check WB Police Recruitment 2018 notification and know the complete details about Application Fee. In the West Bengal Police C notification, the officers of West Bengal Police Recruitment Board has explained all the details understandably. Moreover, the job hunter who completes their 10th/ Madhyamika Examinations can eligible for the WB Police Recruitment 2018-2019 Notification of 5702 Constable Vacancies. Applying applicants age limit lies between 18 years to 27 years. We had explained complete details about Age Relaxation in the below section in a detailed manner. We had also mentioned category-wise vacancies details. So candidates can check this article completely without any interruptions. Form this post, you have to get entire details about West Bengal Police Constable Recruitment 2018. Candidates have any doubts about this article can check the official web page of the West Bengal Police Recruitment Board @ policewb.gov.in whether this information is correct or not. However, contenders who are ready to apply for WB Police Recruitment 2018-2019 Notification can face the Prelims Written Exam and Final Written Exam. For that reason, we will update our web page with WB Police Prelims Syllabus and West Bengal Police Mains Syllabus as well as Prelims and Mains Previous Papers as soon as possible. Therefore, applicants keep checking our web portal Freshesnow.com at regular intervals. After completion of the application form submission, all the candidates can start your preparation for both Prelims and Mains Written Exam immediately. Aspirants who are select for Constable post will take the Pay Scale of Rs. 5,400/- to Rs. 25,200/- along with Grade Pay of Rs. 2,600/-. Applicants need to complete their Madhyamik Examination from the West Bengal Board of Secondary Education or its equivalent. And also have a knowledge of Bengali Language (Read, Write, and Speak). There is no application fee for SC and ST candidates, but they pay the processing fee of Rs. 20/- only. Remaining category applicants must pay the application fee along with processing fee of Rs. 170/- (Rs. 150/- + Rs. 20/-). Selected applicants will take Pay Scale of Rs. 5,400/- to Rs. 25,200/- along with Grade Pay of Rs. 2,600/- from the officers of West Bengal Police Recruitment Board. For the sake of candidates, we had provided some steps about applying process in a detailed manner. So aspirants have any confusions at the time of applying for the WB Police Recruitment 2018-2019 can follow this steps and apply for the post. Open the official web portal of the West Bengal Police Recruitment Board @ policewb.gov.in. Now, you have to see the WB Police Recruitment 2018-2019 Notification on the Recruitment page. Click on that link and read the West Bengal Police Constable Recruitment 2018 notification carefully. After that, candidates can apply for the post in both Online and Offline Mode. Aspirants who apply through offline mode can download the Application Form and fill the applicants form with exact information. Contenders who apply through online mode can click on the online application form and fill all the fields in the application form. Finally, pay the application fee through net banking. And submit the application form before the last date. We hope that above information is enough for all the applicants who are applied for the WB Police Recruitment 2018-2019 Notification. Stay tuned to our web page or the official web portal of the West Bengal Police Recruitment Board to know latest updates about this article rather then this information.